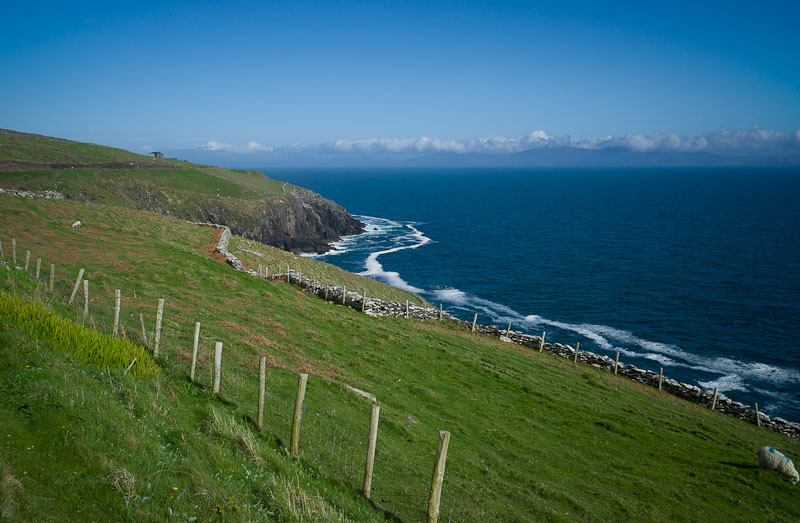 Of all the drives in Ireland, the Slea Head Drive in the Dingle Peninsula is definitely the best. If you travel on a fine day in an off-peak season, starting from Dingle, you could enjoy the most spectacular scenery of the land and sea. You could drive freely along the narrow road and even take a break to capture some unforgettable shots. We travelled in April and found the drive is just second to none, and the beauty of Atlantic Ocean moves us beyond mere words.